This is soda masking as beer. Skye: Every so often we step away from the craft scene and look into the smaller niches and crevices to explore spaces the might not be looked at. Last time Rudy and I looked at gluten-free beers, this time we take a gander at those misjudged, unloved children: non-alcoholic beer. Rudy: For the longest time in my drinking career those two words made about as much sense to me as decaffeinated coffee….What? Most of us see them daily or at least every time we pass the beer isle in the back of the store, hidden from view. If you happen to be in one of the bigger grocery stores with a large liquor selection they will segregate the Non-alcohol from the alcoholic beverages. You might be asking why…well the first thought is that demand for non-alcoholic beer is obviously less than the main stream high octane craft brews and commercialized beers that we have come to know, love and consume. One might think that, but actually there is a strong surge in non-alcohol beers and you might be surprised at the brewery’s that are making very good, (I hate to say it), beers. This beer comes in two distinctive varieties “Premium” and “Golden Amber”, both of these beers are very good. They have distinctive color and taste, a bit skunky, [ed. note: skunkiness may be attributed to the time of import, agitation in transit or light pollution from sitting on the shelf] but full bodied and very smooth. Yes, another German malt…I loved this beer in my youth, one of the all time go to beers in the fridge. I have to say, at first taste it was the same and then after a couple more swigs I began to feel like something was missing. It was very distinct in contrast and flavor, but it was like drinking your favorite pop, (soda) and it only has some of the syrup. It is good and you can drink it, but you could also wait until they fix it. If you want a beer that tasted the same without the alcohol this one nailed it! Guinness is a great brewery and this beer has a great color and mild caramelized overtones. I think it is a little muted and watery, but not bad. I am not saying that I would trade this for a real Guinness, but if I was the designated driver and all they had from the brewery were Guinness and the non Guinness…I would still hold one in my hand and be jealous all night long. Skye: I choose four different brews. Three of them I found in my local Total Wine and the last I stumbled across in a small English Tea Shop here in Virginia. In my view the point of a non-alcoholic brew is to be a decent simulacrum to it's alcohol-based brother. It needs to look like beer, smell like beer, act like beer, and most importantly taste like beer. One thing to note, if you want good NA beer you are going to pay a bit of money. The can tells me that this is made with real Bass beer, so at least it has that going for it. It poured like soda, a lot of fizziness and noise. The head disappeared very quickly. It's sweet, slightly flat, a clear amber color. It's a refreshing beverage something you could drink in place of a soda if you wanted to. Verdict: This is a soda version of a shandy with some beer flavoring. Enjoyable but definitely not beer-like at all. Tastes like beer - Yes, tastes fairly malty but there is a bit of hops to balance things out. 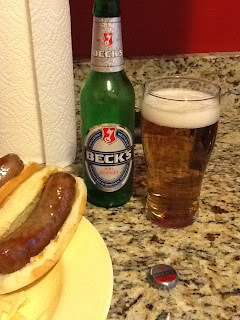 I had this with bratwurst and spaetzel and it stood up very well. It does a lot of things fairly right for a lager, it's hopped fairly well, decent carbonation. The hops are there in the nose and on the taste, but it doesn't have the crisp bite. I found that body wise something was not quite right, but I couldn't quite put my finger on it. The malt extract is big enough to provide some cover. Verdict: Overall this is a decent simulacrum of beer, easily drinkable and was surprising decent with the bratwurst. 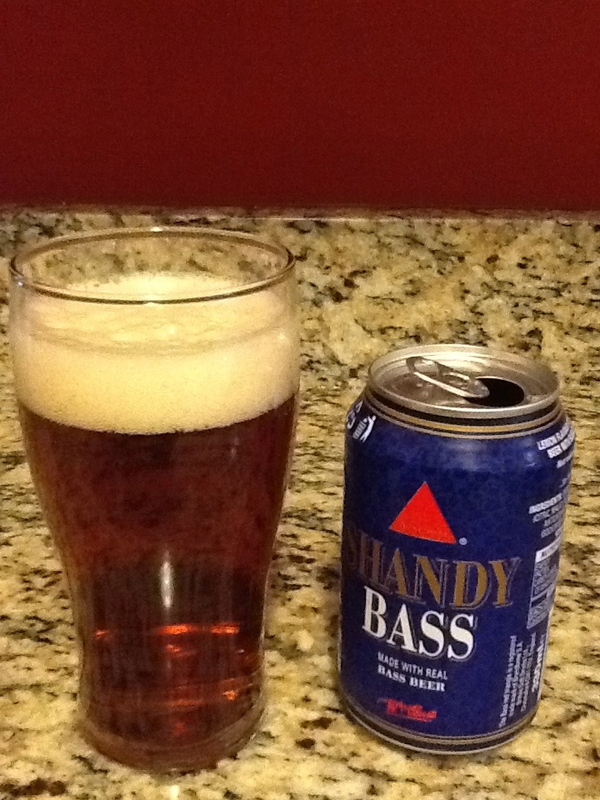 Tastes like beer - No, tastes like light malty water…that is not a good thing. When I purchased these I had high hopes for this since Paulaner tends to brew decent, quality brews. Needless to say I am sorely letdown. This is not very good at all. There is no body to it, it doesn't taste at all like beer instead going for an overwhelming but weak malt taste. There is little hop presence and what is there makes no impression. The aftertaste is a faint blah of malt extract. The only thing it has going for it is decent carbonation but it made me burp which only served to remind me how poor this was. It is a constant reminder that you are not drinking a real beer. Verdict: Avoid. If this is the only thing in the cooler drink a soda instead. If you are dying of thirst in Death Valley and this is all that is left then yes drink it, but it will still taste like disappointment. This is a light beer equivalent for NAs. It is does have a decent bite on the drink, but not much body to it at all. A decent hop presence and good carbonation, there is some maltiness but it is more background noise, no real aftertaste to speak of other than a very faint bitterness. This is decent if unremarkable, but it is a refreshing brew and would go well on a hot summer picnic. Verdict: If you want a lighter tasting NA then go get the Buckler. Rudy: I am happy to say that, although Skye has once again given me a challenge that I was not too sure I was going to enjoy… I did have fun finding out about the new beers that are out there on the back shelves hidden from the lime light, but are still useful and desired by those who can not participate in the consumption of real honest to goodness alcoholic brews. Today’s brewers have found new and inventive ways to give us the full bodied taste, smell and color that embodies the alcoholic beverage without the alcoholic substance. Skye: If you need to take one for the team you don't have to be miserable while you do it. Hopefully these recommendations help point you in the right direction when choosing a non-alcoholic brew. This shows that you don't have to sacrifice taste and enjoyment. Happy Independence Day and remember to be responsible and safe out there! Want a different point of view? Then check out this huge 11 NA beer taste test!